Culture is all around us, in every group you belong to, be this your family, friendship group, hobby or sports club there is a different type of culture. But the most important one is where you work as this is where we spend most of our time. But what kind of culture does your work/business have? Over the last couple of months there has been more and more talk about culture in business, it’s something I’ve been championing for a number of years so I’m glad it’s being talked about. When things get tough we often look at processes and efficiency savings to get us through but what about the people? Not only is it important to get the right people in your business but also ensuring that these people become loyal to your business. One way to do this is to create a culture that people want to be part of. 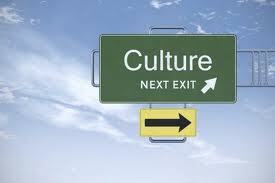 So what does culture mean? INTELLECTUAL ACHIEVEMENT(S), intellectual activity; literature, music, painting, philosophy. INTELLECTUAL/ARTISTIC AWARENESS, education, cultivation, enlightenment, discernment, discrimination, good taste, taste, refinement, polish; sophistication, urbanity, urbaneness; erudition, learning, letters; French belles-lettres. CIVILIZATION, society, way of life, lifestyle; customs, traditions, heritage, habits, ways, mores, values. Translated can this actually help improve the bottom line of your business? The simple answer is YES but it’s about looking at it holistically and knowing that the process might not all be plain sailing but will be worth it. Core Values: What does your company stand for? What behaviours are instilled within the way you do business? Do you have some activities which are non-negotiable for staff? Do you employ people who have similar values to the business? Brand Values: Do these align with your core business values? If you’re brand was a person would people want to spend time with them? Do the people you employ understand these brand values? Work Environment: What does your office/building say about you? Is it a nice place to spend a lot of time? Do the people within it take ownership for it? Is it conducive to productivity/creativity/positivity? Can you make changes that will make a difference to everyone who has to spend time there? Do the work stations/desk have to be configured in the same way for everyone? Can some colour be brought into the workspace to brighten it up? Customer service, experience & retention: How would you rate your customer service? Do you take time to delight & surprise your customers? Have you walked through your customer experience? How do you reward loyal customers? Are your customers’ advocates for your business (Sell your business for you)? Staff service, experience & retention: This is quite similar to the questions regarding customers/clients! Your staff/employees/team are your business so how do you make them feel? Do you really know what your staff do? I love those televisions “back to the floor” or “undercover boss” as it shows that sometimes management lose touch with what the business is actually doing and also don’t recognise the team members who go over and above what is expected of them to get the job done well. More managers/directors should do this once in a while. Changing the culture can be a long slow process but making small changes all the time can really help move your business forward. It can be a very rewarding process & I ways get a warm glow when I get feedback from managers/directors or staff members who now work in an organisation that really makes them want to come to work on a Monday morning. PS: What can you do today to make someone’s day?